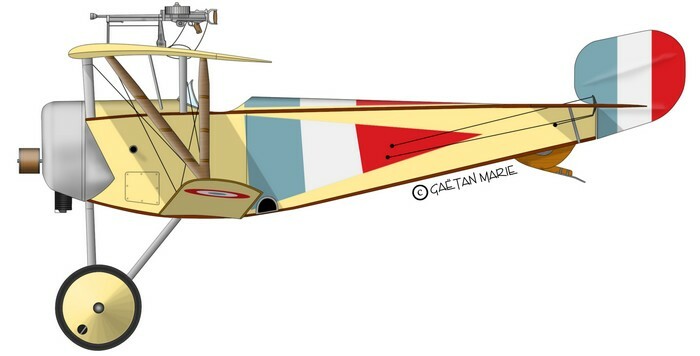 The Nieuport 11 was a very successful and nimble fighter that led to an entire family of light fighters. 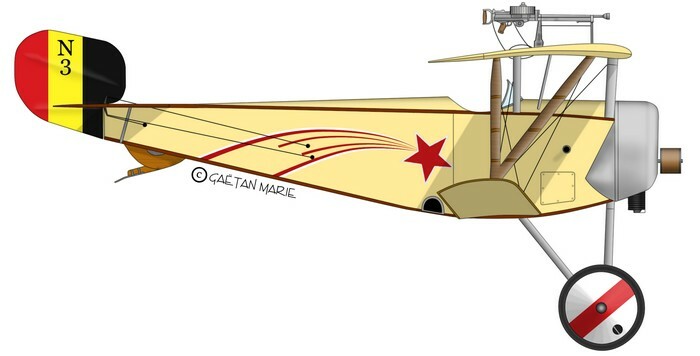 It was better suited to counter the Fokker Eindekker than previous models were and was the favourite mount of several aces. It was licensed-produced in Italy. 1. 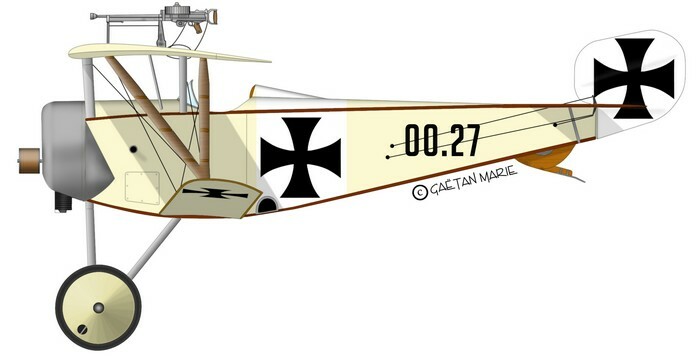 Nieuport-Macchi 11 (ex-Ni.1615) captured by Austro-Hungarian troops and repainted. All crosses were painted on white background. The new canvas was nearly translucid. 2. 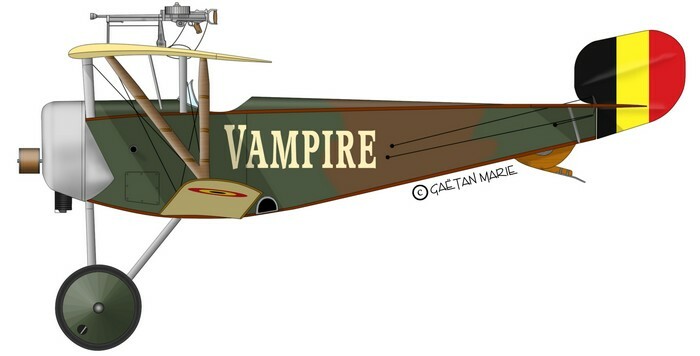 Belgian Nieuport 11 called “Vampire”. Its pilot is unknown but a Nieuport 17 was later painted and called identically. 3. 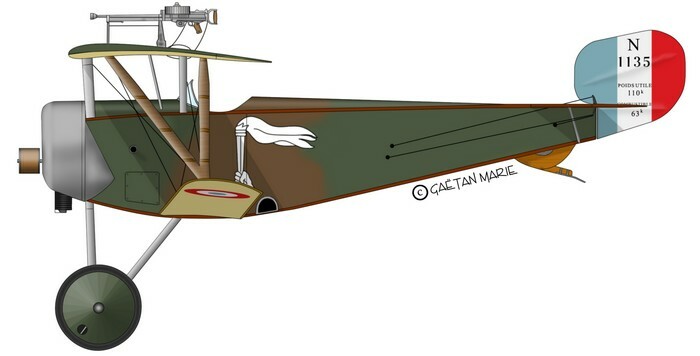 Nieuport 11 of the 5e Escadre de Chasse belge, flown by Adjudant Edmond Thieffry, the second Belgian ace with 10 victories, Spring 1917. 4. Nieuport 11 #1135, of Escadrille N26, flown by Count de Plandes Sioyes (?). This aircraft landed behind ennemy lines on July 3, 1916 and was captured by the Germans. 5. Nieuport 11 of Escadrille La Fayette flown by Clyde Balsley in 1916. 6. 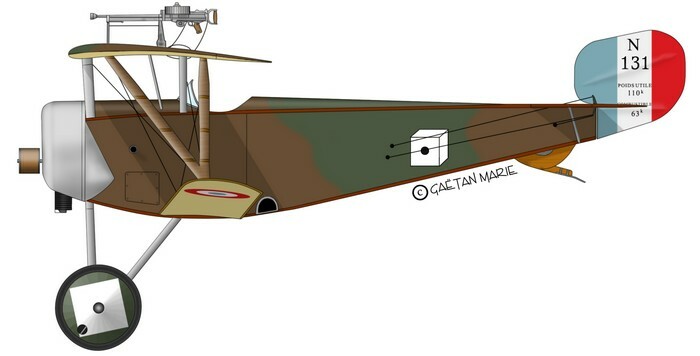 Nieuport 11 C1 #1344 of Lt Armand de Turenne (15 victories) in 1916, Escadrille N48. The ace’s family coat of arms was painted on the fuselage. 7. 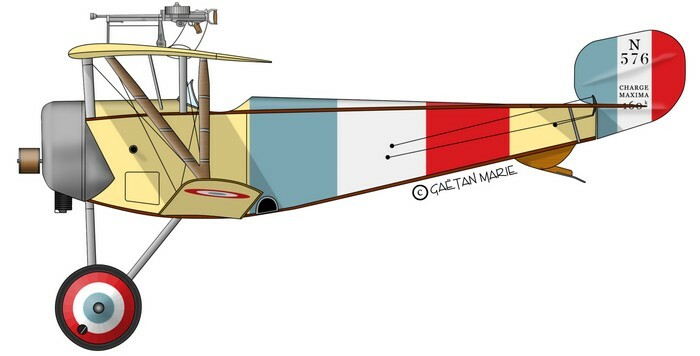 Nieuport 11 of Escadrille N67 flown by Jean Navarre (12 victories) in 1916. 8. Another Nieuport 11 flown by Jean Navarre: #576, Escadrille N67, 1916. 9. 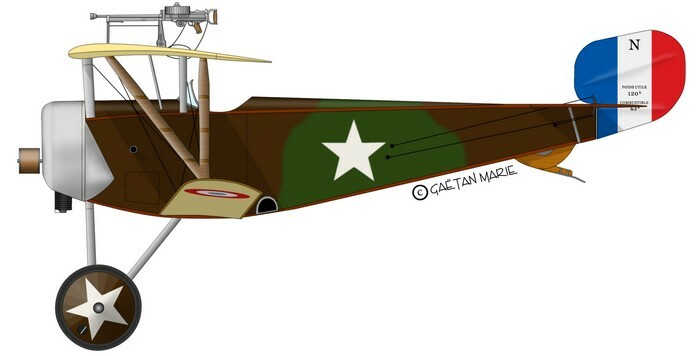 Nieuport 11 #131 of Escadrille N124 (future Escadrille La Fayette), flown by Chouteau Johnson, Summer 1916. 10. 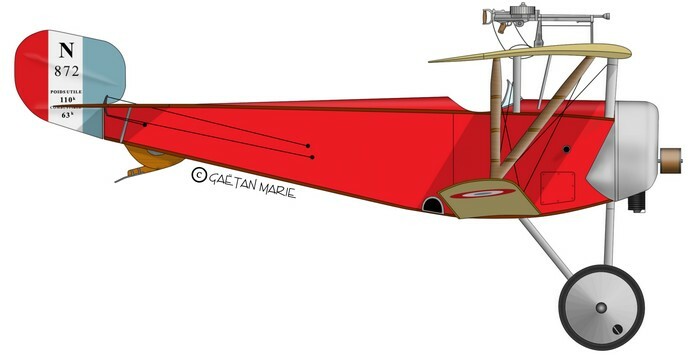 N.11 C1 #872 flown by Jean Navarre over the Verdun battlefield. The wings and horizontal surfaces were covered with linen fabric.